Changes the .38 receivers for Deadpool2099's Service Rifle to 9mm ammunition from his 9mm Pistol mod. ESP Only. 9mm Pistol (Browning Hi-Power) Redux Required as it uses the ammuntion. Deadpool2099, for his two amazing weapon mods, and allowing me to upload this edited .esp file. This patch changes the ammo used in the 9mm receivers for Deadpool2099's Service Rifle Redux mod from .38 ammo to the 9mm from his 9mm Pistol mod. 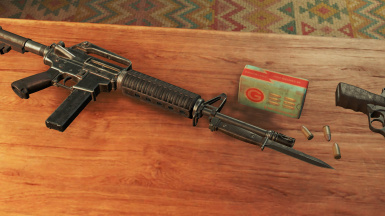 Enemies who use 9mm receiver service rifles should drop 9mm ammo. 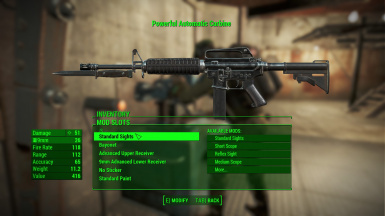 Legendary weapons which can be modded with 9mm receivers should be changed too. This mod requires Deadpool2099's﻿ Service Rifle Redux﻿ and 9mm Pistol.